If you want to see man evolve into apes like the ones in the original Planet of the Apes, check out this time-lapse video, in which Emily Van Tassel transforms an ordinary man into an ape. Damn dirty apes! Damn dirty makeup artists. What is amazing is how good it looks and that Emily isn’t even a professional makeup artist. She should be. That is some talented ape-making. This makes me look forward to more ape movies. 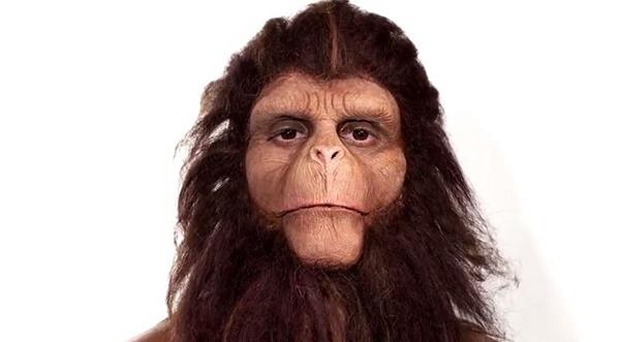 The makeup in Tim Burton’s stupid Planet of the Apes movie was good, and the CGI in the recent flicks is impressive, but this is closer to the original movies, in that more of the person underneath shows through, and that gives more personality to the apes.